Ground Control To Major…….er, ah…….Nobody. Three years ago when writing my blog for the 2014 April A-Z challenge, I had submitted a piece called “X-37B-This Time We Didn’t Even Get Tang.” https://zuludelta45.net/2014/04/28/x-37b-this-time-we-didnt-even-get-tang/ The gist of the story was about a TOP-TOP-TOP (I could go on a few more times, but I won’t) secret NASA/U.S. 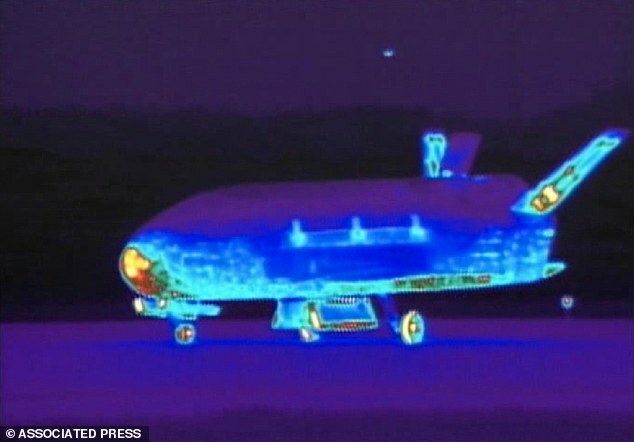 Air Force shuttle/ship that has been logging some serious time in space with absolutely no details of its mission. Well, the X-37B just dropped out of the sky (figuratively speaking) again last Sunday Morning, announcing its presence with a sonic boom. We still know nothing about what that unmanned mission is doing all by itself up there in space, but one fact is true; the ship just shattered an already impressive record for continuous flight time; it was up there for two years straight! Sunday’s landing was also the first time the ship used the Cape Canaveral runway formally used by the manned space shuttles. When it’s “new’s” about X-37B.